DO YOU NEED A HEART CHECK? What do you think of traditions? Are religious traditions good or bad? Does Jesus want us to keep traditions or not? Jesus encountered religious people who were great at keeping their traditions. They thought by doing the outward religious actions they were closer to God than those who did not keep the traditions. We might look at them and think, “How could they be so foolish to rely on their traditions? I would never do that.” But they were essentially wanting to keep outward appearances. They wanted to look godly, but in their hearts were not godly. That can hit home with us in our world today. Many people try to clean up their language, attend church, give to missions and do all of the good outward actions, while their hearts are far from God. Attending church, giving and participating in missions are obviously great, but God wants our hearts to be in it. We see this in the passage above. He tells those who are just keeping the outward appearance that their “heart is far from me.” We want to be people whose hearts are always close to God and allowing Him to work on our hearts, so our motives, and therefore outward actions, honor Him. Do you need a heart check? Do you need God to search your heart, so you can deal with anything He may reveal to you? 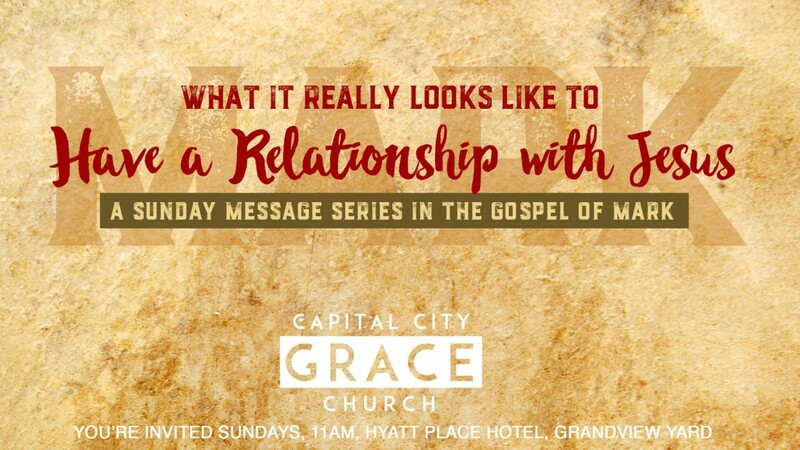 This Sunday as we continue our message series “What a Relationship with Jesus Really Looks Like,” let Mark chapter 7 speak to your heart, so you can grow even closer to Him. Join us Sunday, 11am at Hyatt Place Hotel. https://capitalcitygrace.org/wp-content/uploads/MARK-SERIES.jpg 1080 1920 Eric Miller http://capitalcitygrace.org/wp-content/uploads/capital-city-grace-church-columbus-ohio_02.png Eric Miller2016-08-12 21:49:002016-08-12 21:49:00DO YOU NEED A HEART CHECK? Alive: How Jesus’ Life Changes Yours THIS SUNDAY: IT’S NOT ABOUT ME…OR YOU.